Sunday August 7th saw the top seeds in the Women's and Men's Singles tournaments join the fold. Kasumi Ishikawa was one of the early surprise casualties in the Women's draw, while Quadri Aruna caused a major shock in the Men's category with a stunning victory over Chaung Chih-Yuan. DPR Korea will have a representative in the last 16 after Kim Song I eliminated the 4th seed Kasumi Ishikawa (Japan) in round three of the Women’s Singles event. Kim had been involved in the previous round’s action earlier in the day with a 4-0 win against Poland’s Katarzyna Grzybowska-Franc, but round three was Ishikawa’s first and only taste of the competition. All seemed to be going well for Ishikawa at the start of the match, as the 23-year-old won the opening two ends against her opponent; however, Kim fought back and levelled the tie at 2-2. Again Ishikawa took the lead with a win in game five, only for Kim to pick up the next end to force a deciding seventh game, an opportunity which the DPR Korea player seized (7-11, 7-11, 11-9, 11-9, 9-11, 11-9, 11-8) to put her name into the next round of the draw. Following her exit, Kasumi Ishikawa confirmed that she had been struggling with cramp during her encounter with Kim Song I, “It was just cramp but I never had a cramp in any matches ever, so (I’m) very upset. I played very well in (the) beginning but I’m getting so exhausted cause (sic) too much moving.” she added, “Today is my mom’s birthday and (I) wanted to celebrate her (sic) with my win today.” Ishikawa was refused an injury time out because cramp isn’t considered to be an injury. Another notable loss in the Women’s competition was the elimination of Li Jie (Netherlands) dealt by the hands of French player Li Xue. The match actually began in Li Jie’s favour as the 11th seed went 2-0 ahead, but yet again another comeback was on the cards as Li Xue (seeded 30th) managed to win three games in a row to move 2-3 in front. Li Jie refused to give in, taking game six but it wasn’t enough as her opposite number from France held her nerve and won the tie (8-11, 12-14, 11-8, 11-9, 11-7, 6-11, 11-8) to seal a spot in the last 16 against Germany’s Han Ying. Elsewhere, The Women’s Singles event lost Australian competitor Jian Fang Lay, who following two solid wins in the previous rounds, met her match in round three against Singapore’s Yu Mengyu (0-4). Korea Republic’s Jeon Jihee saw off Matilda Ekholm of Sweden in five ends, and the top seed Ding Ning (China) was fairly untroubled in her straight games success against Elizabeta Samara (Romania). 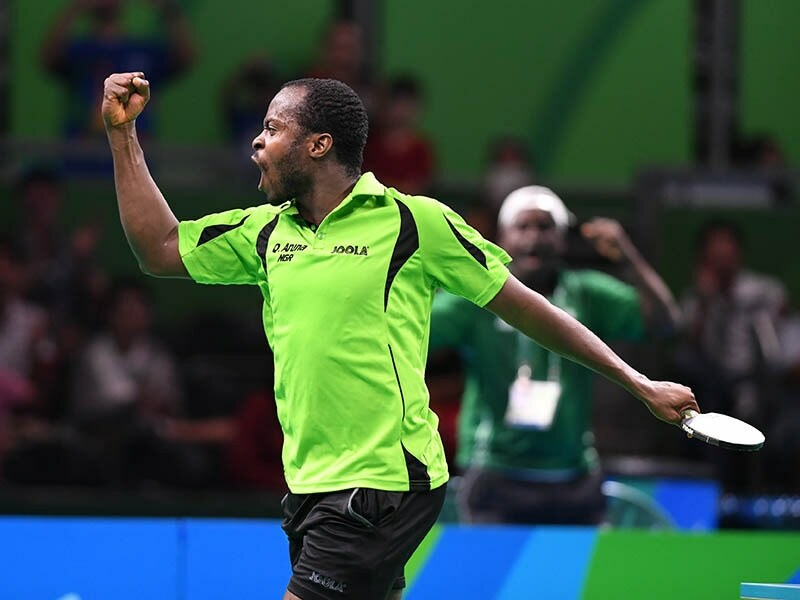 Quadri Aruna of Nigeria pulled off one of the biggest shocks of Rio 2016 so far, when he overcame Chuang Chih-Yuan (Taipei) without dropping a game. Chuang entered round three seeded 5th in the competition while Aruna was placed 27th, and to make the result even more astonishing, the higher ranked player (Chuang) only managed to reach double digits in one of the four games (11-6, 12-10, 11-6, 11-7). 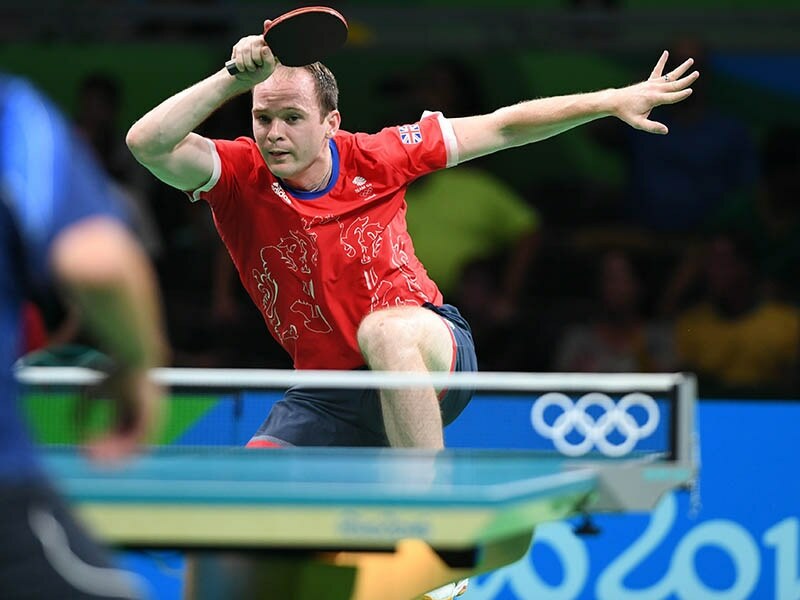 Brazil’s Olympic Table Tennis dream of winning a medal is still on after Hugo Calderano produced another sublime victory, this time against Tang Peng (Hong Kong) in front of 5830 supporters. Tang was seeded 25 places above Calderano heading into the tie, but the latter player used the home crowd to his advantage once again as he stormed to a 4-2 victory: “He began very well (in) every game and in the other matches I was the one who had a good start, so this situation was new for me in the competition. But I had to keep calm to continue playing and try to win the game.” said Calderano. Following the match Jean-Rene Mounie, Brazil’s Head Coach, labeled Calderano’s win the “best that Hugo has played”. Another big upset came earlier in the day, as Great Britain’s Paul Drinkhall beat Gao Ning (Singapore) for the first time. Drinkhall made a positive start to the match by winning games one and two, and even though Gao took the 3rd end it didn’t take long for Drinkhall to restore his two game advantage as he won the next end comfortably to move 3-1 ahead. The momentum was with the British player who held two match points in the fifth game, but Gao showed no signs of falling away and went on to win four consecutive points to reduce the score to 3-2. While there will be celebration in the Great Britain camp following Drinkhall’s victory, there is bound to be an air of disappointment as well after their other competitor Liam Pitchford crashed out of the Men’s Singles tournament. 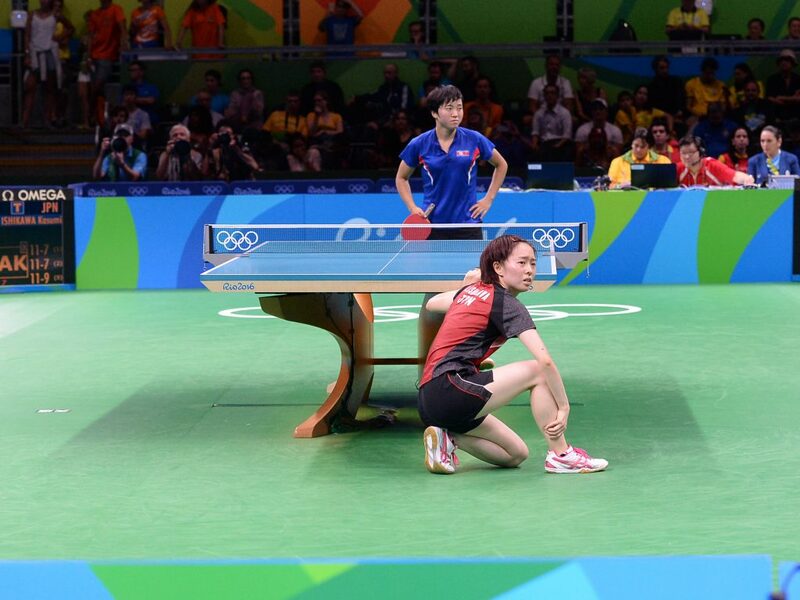 Jeoung Youngsik (Korea Republic) was the player to knockout Pitchford, who exited with a 4-1 defeat. Portugal’s Marcos Freitas proved too strong for Ovidiu Ionescu in their round three tie; Kou Lei (Ukraine) eliminated Frenchman Simon Gauzy and Timo Boll endured a gruelling seven game encounter with Russia’s Alexander Shibaev which the German superstar won by the skin of his teeth (12-14, 11-4, 7-11, 11-7, 10-12, 12-10, 11-6).